Ecovacs DEEBOT N79s – The most popular low price robot vacuum, is it the best option for your home in 2019? 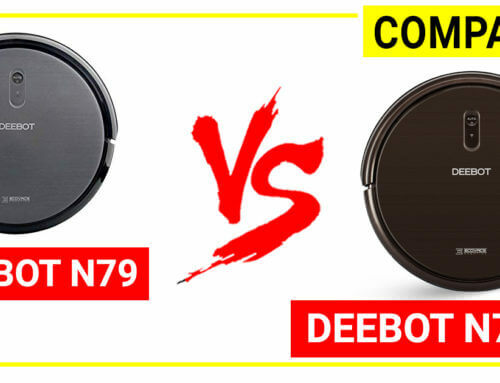 Is Deebot N79s a right choice for you? And Deebot N79s is now compatible with Alexa Voice. The addition of new features allows users to have more convenience when using the robot vac. If you do not know yet, Ecovacs Deebot N79 is one of the most popular robot vacuum on the market, with over 5+ million unit sold in more than 60 countries. Deebot N79 is best known for its affordable price (much cheaper than Roomba) and efficient cleaning. The upgrade version Deebot N79s adds two important benefits but the price is still in the same range (it is 20 bucks more than the old version). 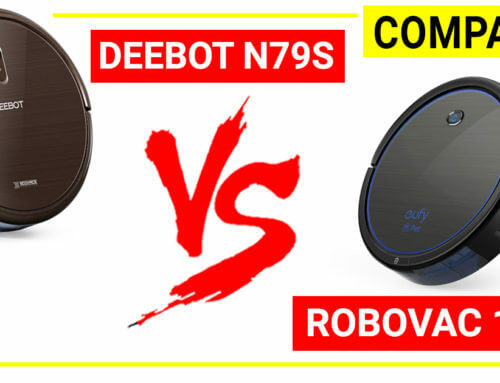 Deebot N79s and Roomba 690 share a lot of similarities such as reliable cleaning performance, wifi connection, two cleaning modes, low profile…but the Deebot N79s has longer run time compared to Roomba 690 (100 minutes vs 60 minutes). Roomba 690 is a bit more expensive than Deebot N79s. At the price range around 200, there are several models from Ecovacs, Eufy, ILIFE, Xiaomi and Deebot N79 is the most popular choice so far. Deebot N79s offers extra benefits which is a great substitution to the N79 version. Roomba models are always more expensive than Deebot. 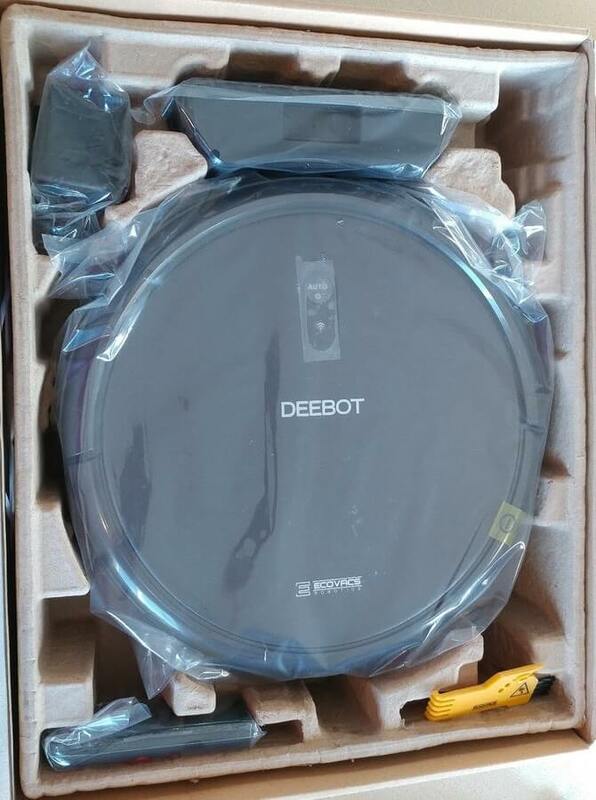 At the same price range, Deebot N79s is more efficient (longer run time) than Roomba 690 unit. It has a long run time – up to 100+ minutes and this is very useful for the home with larger footage. The unit also has auto recharge feature for more convenience. If you are looking for a unit at an affordable price, full features for cleaning bare floors and low pile carpets, Deebot is a trustworthy choice. Most of the robotic units these days should have a low profile (and large dust bin). The Deebot N79s height is only 3.1’’ which is convenient to go under the sofa, nightstands to pick up the ground-in dust and pet hair. The unit has 100+ minute running time per charge (tested with standard mode on bare floors) which is sufficient for cleaning up to 1600 sq ft. After draining out of battery, Deebot N79s can find its docking station to automatically recharge so you do not need to worry forgetting charging the unit for next cleaning routine. The unit has anti-collision and anti-drop sensors, smart motion technology and soft bumper to keep the unit safe. The Deebot N79s uses a dual helix brush for deep cleaning carpets. Deebot N79s is effective on low pile carpets. If you need to clean soft plush carpet with a robot vacuum, Ecovacs has another model called Deebot N95 which is designed for deep pile carpet cleaning. Deebot N79s performs well on bare floor surfaces such as tile, ceramics, laminate and low pile carpet. 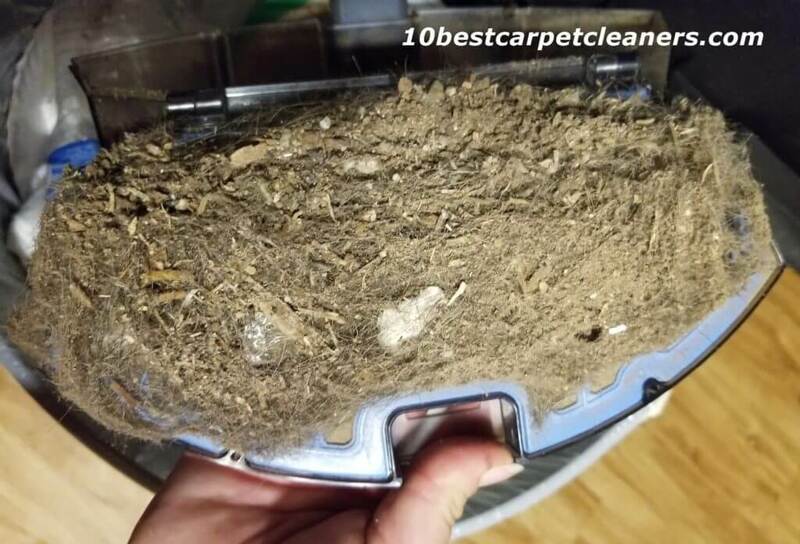 Similar to most of the robot vacuum it can have a poor performance on dark areas and soft plush carpets. Deebot N79s deals with pet hair efficiently by combining 3 stage cleaning system, a strong suction power and a helix brush. Deebot N79s can clean thick carpet by applying this easy trick: use a piece of white tape or paper to cover the sensors on the bottom of the unit, then it will work on the thick carpet. Only do this if there is no drop-offs area when you are using this trick because the sensors are designed to protect the unit from falling off. Deebot N79s can climb from floor to high pile are rugs with the highest bump is 1.2 centimeters. Deebot N79s is the latest update from Ecovacs most successful model N79. The unit offers a great cleaning result, the model has a sleek design and the run time is very long. At this price range, Deebot N79s is a nice option if you are looking for a model with full features, efficient performance and high reliability. Ecovacs DEEBOT N79s is the upgrade of N79, by adding 2 important features: max mode to give extra suction (like Roomba) and compatible with Alexa Voice.